Go "Green" - Environmentally Friendly This Spring! How to be More “Green”, This Spring! Spring cleaning yet? Spring is right around the corner and you should definitely be thinking about how you can be more environmentally friendly. If you’d like a more “Green” lifestyle, what better place to start than your bedroom? You might or might not have just experienced a snowy winter but the fact of the matter is, spring is one of the most lovely seasons and we want to experience more springs as the years pass (and so do our children and grandchildren etc…). Here is a simple idea that will instantly make you feel more “Green” and environmentally friendly this spring. You can re-decorate your bedroom with the most comfortable, environmentally friendly bed sheets and bedding on the market. You can slowly transition your bedroom to eco-friendly products made of bamboo. Bamboo has environmental benefits that largely come from its sustainability. It’s also able to grow and spread quickly without the need of fertilizers, pesticides or water. Bamboo grows so quickly that it can produce 20 times more timber than trees in the same area. Living “Green” is a step we can all try to take as consumers. If you love the world we live in, and you want your children and grandchildren to do so as well, start today. As a bedding consumer, you have a choice to purchase products that can help sustain our world and environment or not and as Mahatma Gandhi said “be the change you want to see in the world”. In the bedding market, bamboo sheets are incredibly popular because they are indeed environmentally friendly. They feel as good as silk and they are often mistaken for cashmere (however much less expensive than cashmere). The natural agent in bamboo named “bamboo kun” fights bacteria and fungi. 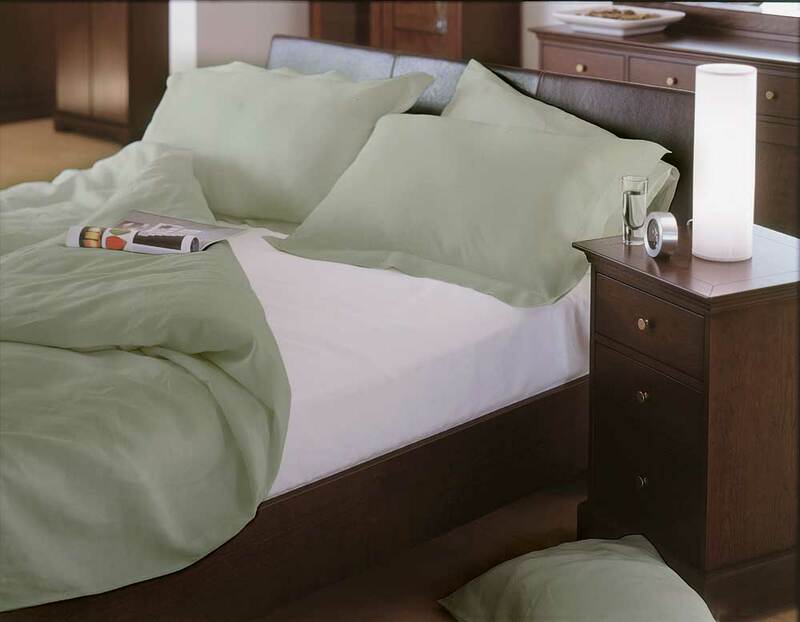 Bamboo bed sheets are hypoallergenic and thermal regulators. There are other benefits that you might not have known about like, bamboo fabrics protect sensitive skins from allergies and keep you warm in winter time and cool in summer time. Bamboo bed sheets are also 100% biodegradable and that means sun and soil microorganisms can biodegrade the natural cellulose fiber in bamboo. Bamboo bed sheets are three to four time more water absorbent than cotton or polyester. Did you know this about Bamboo? Bamboo is an eco-friendly plant that can grow without pesticides, herbicides or chemical fertilizers. Bamboo can grow really fast and consumes more carbon dioxide than trees. Bamboo is an adoptable plant that can grow in different parts of the world. Different varieties of bamboo can grow in different climates ranging from tropical to freezing temperatures. In Asia, bamboo is called “the grass of hope” and because of its seductiveness, beauty and charm has influenced the Asian culture, Asian cooking and Asian art for generations. The plethora of amazing applications of bamboo have made this plant an amazing renewable source of income in many countries. Most recently, we read about 2 great guys from Washington D.C. who now create ecofriendly bicycles, made from bamboo! They like engineering, bikes and helping people. Sky is the limit with bamboo!